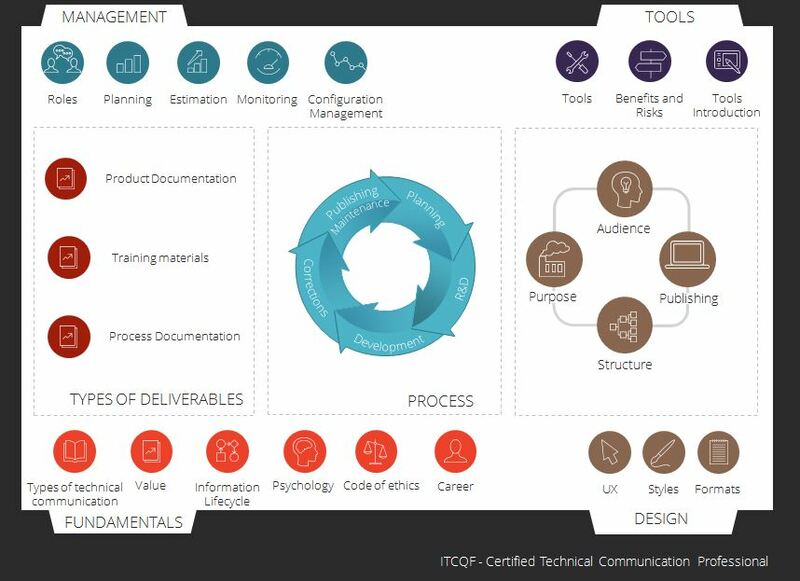 The International Technical Communication Qualifications Foundation (ITCQF®) has announced the completion and availability of a new version of official training materials for the Foundation Level of ITCQF® certification program – Certified Technical Communication Professional. The materials have been prepared in English language. The International Technical Communication Qualifications Foundation (ITCQF®) is a comprehensive technical communication certification program developed in cooperation with recognized techcomm experts, and based on existing international standards. The program is designed to facilitate the learning process for aspiring technical communicators, as well as to supplement and organize the knowledge of already experienced techcomm specialists. Ultimately, ITCQF® provides a means to standardize the terminology, processes and best practices used by professionals across the world in different organizations. « Announcement: Let’s meet at impact’17 4.0 Economy conference! Announcement: Let’s meet at impact’17 4.0 Economy conference! Announcement: ITCQF® team is joining impact’18 conference in Krakow!